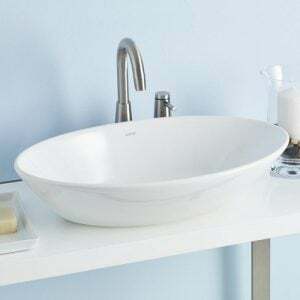 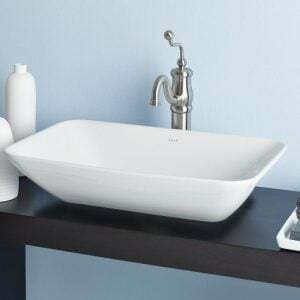 The angled sides of the SENTIRE VESSEL sink add lightness to an otherwise bold geometric design. 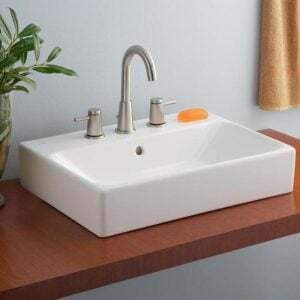 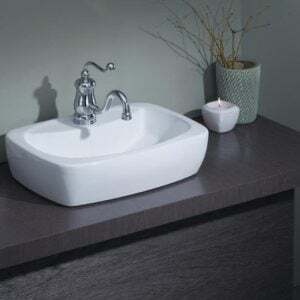 Shown with #5220 Widespread Lavatory Faucet in Chrome. 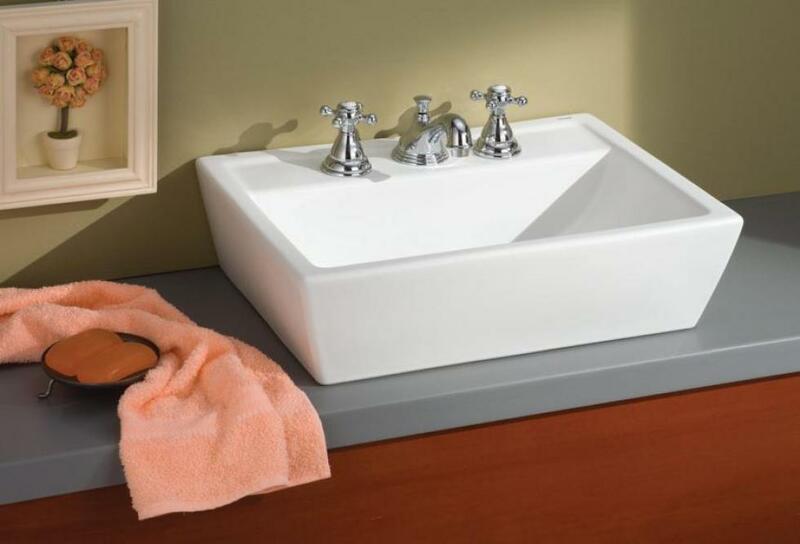 18" x 15" x 6"
21 1/4" x 15 3/4" x 6"